Nepal batsman Rohit Paudel. Image: ICC/Twitter. Nepal batsman Rohit Paudel entered the record books by becoming the youngest ever to score a fifty in men’s cricket. 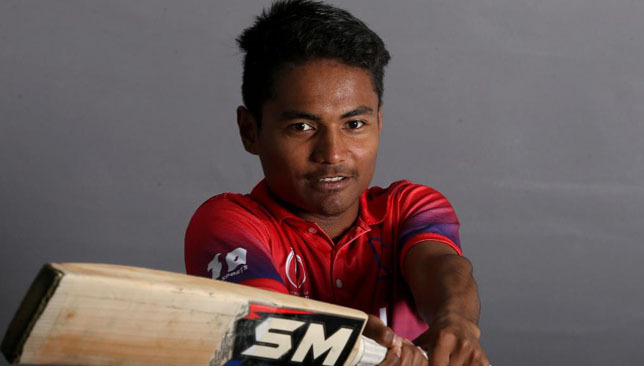 Paudel, aged 16 years and 146 days, hit 55 batting at number seven to help Nepal post a challenging 242-9 against UAE in the second ODI in Dubai on Saturday. In the process, the teenager became the youngest ever batsman to score an international fifty. He beat the ODI record set by Pakistan great Shahid Afridi who did so at the age of 16 years and 217 days. Afridi had made 102 against Sri Lanka in Nairobi in 1996. Paudel also broke the record of India batting legend Sachin Tendulkar who scored a fifty in Tests aged 16 years and 213 days, according to the International Cricket Council. Paudel’s latest effort should earn him a promotion in the batting order. His fifty set up a thumping 145 run win for Nepal as they squared the series. 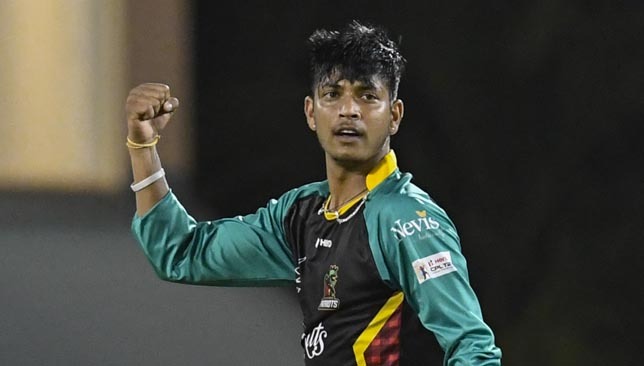 Come Friday, it will be a dream come true for Nepal leg-spinner Sandeep Lamichhane as he gets ready to make his maiden appearance in Australia’s Big Bash League (BBL). Playing in Australia’s T20 franchise league has been an ambition of Lamichhane’s ever since he played grade cricket in Sydney two years ago after being discovered by former Aussie skipper Michael Clarke. That dream was realised for the teenage leg-spinner this year when he was drafted in as an overseas player by the Melbourne Stars. The wrist-spinner’s stock has been on the rise of late in the world of T20 cricket after he became the first Nepalese player to earn a contract in the Indian Premier League (IPL). Since impressing in his limited outings with the Delhi in the IPL, Lamichhane has played in the Global T20 Canada, Caribbean Premier League and the Afghanistan Premier League. He is also set to become the first player from Nepal to play in the Pakistan Super League next year after he was picked up by Lahore Qalandars in the player-draft. Lamichhane played club cricket in Australia two years ago. Set to now make his BBL bow, Lamichhane is hoping inspire another generation of Nepalese cricketers. “It always means we’re carrying the whole nation on our shoulders,” the teenager told cricket.com.au. “For the youngsters (at home), it’ll be a good lesson for them to not give up and that their time will come. Lamichhane’s Melbourne Stars will open their BBL campaign against with an away clash against Sydney Thunder on Friday. 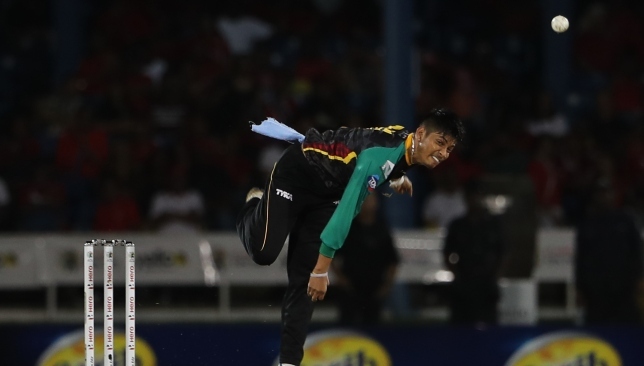 Nepal leg-spinner Sandeep Lamichhane continued to prove his worth in white-ball franchise cricket as he kicked off his T10 campaign with a superb three wicket haul. Playing for Kerala Knights, Lamichhane picked up 3-17 from his two overs as he helped restrict Pakhtoons to 109-5 at the Sharjah Cricket Stadium on Wednesday. That did the job as Knights chased down the target with eight wickets in hand and more than two overs to spare as captain Eoin Morgan hit an unbeaten 46 from 20 balls. Lamichhane took the important scalps of Andre Fletcher (32) and Colin Ingram (1). He was declared man of the match for his effort. His performance came 24 hours after Lamichhane was signed by the Lahore Qalandars for PSL 2019. The teenager had thus become the first Nepalese player to win a PSL contract as he added to his growing list of stints in franchise cricket, which also includes the Indian Premier League, Caribbean Premier League, Bangladesh Premier League, Big Bash League and Global T20 Canada.